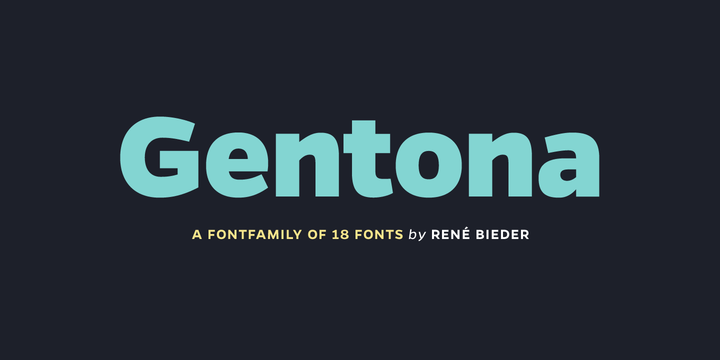 Gentona is a neo-grotesque sans-serif typeface created & published by Rene Bieder that contains 18 fonts, nine weight. With its sharp and fine thin cuts, but also strong lines so necessary for heavy weights, Gentona designed as flexible workhorse for a wide range of applications. A font description published on Monday, July 22nd, 2013 in Fonts, Rene Bieder by Alexandra that has 8,690 views.